Smartphones have unarguably evolved into an irreplaceable part of our daily lives . Think of how many times do you use your phone in a day? Quite a lot times I guess . With such an important device that’s a vital part of our daily lives, I must say I’m quite shocked and surprised by the mistakes and errors people make on smartphones and unnecessarily expose themselves to security risks. It may seem like stress to type in your screen lock password or draw your unlock pattern any time you want to use your phone but this is one the easiest ways to prevent unauthorized access and/or use of your phone. 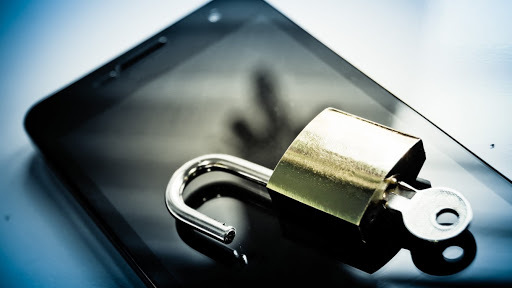 Hackers can crack any screen lock security with some given time, but this step gives you a basic form of first level security that will prevent most people from accessing your phone. The best type of security code for smartphones are PINs or more preferably passwords . phone to lock the screen after one minute of being idle. Not all smartphones come with this but with this option, the phone has a second layer of security. I once sold a Tecno H3 to one of my friends, I forgot that I set the AntiTheft feature on. Even after he flashed the phone, the AntiTheft feature was still in place. He couldn’t use the phone until I unlocked it. One good thing about the anti theft feature is that once your SIM is removed, the app will anonymously send an SMS with the next sim card that’s slotted in the phone to the number that you selected as security numbers. Once your phone gets stolen, you’ve got nothing to worry about. Except of course your pictures.. Some people are fond of doing this, joining any Wi-Fi network they see forgetting that this is also a major security risk. Information and data transmitted over public Wi-Fi networks are visible to anybody on the network if they know how to view it. Hackers can easily steal your details and remotely access your smartphone. If you have to connect to a public Wi-Fi network, make sure you’re using a VPN like Droid VPN or TUNNEL BEAR VPN . VPN stands for Virtual Private Network and is a method to connect to websites securely . Otherwise, use your mobile data network. Some people will go to great lengths to make sure they have the latest and most up-to-date antivirus for their PC but the protection for their smartphone is Zero . 85% of most smartphones do not have security or Antivirus apps pre-installed . Only a number of smartphone users install antivirus and other security software. I recommend Bitdefender , AVG and Avast to secure your Android phone . By installing an antivirus on your smartphone, you also avoid transferring a virus to your computer via USB which is a common problem these days. Some damaged memory cards may have the shortcut virus that replicates itself many times in a PC as shortcuts to programs but this can be fixed with Smadav PC Antivirus. Most Smartphone manufacturers use software updates to improve functionality and to fix security gaps. In general, you should accept updates to your phone’s operating system as soon as you are notified. If you don’t have enough data try subscribing and updating your phone. The same goes with applications on your phone. Make it a habit to regularly update the software running on your smartphone. Only few people verify applications before they download and install them. By verification , I mean carrying out some basic research before installing an app. Many smartphone users download and install applications that come packaged with malware that gives a remote hacker root access. Most recently users have been hit with the Quadrooter and Gooligan Malwares. Quadrooter constantly shows pop-up ads and installs apps without permission. All this can be avoided. I think where the problem lies is mainly with Android phones because of the relaxed rules required to host an app in the Play Store. iPhone users are safer due to Apple’s closed wall policy. It’s generally more difficult to spot a fake login page on a smartphone than on a computer. Furthermore, shortened URLs make it extremely difficult to detect illegitimate addresses. The best way to stay secure is to avoid clicking on suspicious links sent via SMS or instant messaging apps. I know many hard-core rooters and jailbreakers pe will probably bash me for this one. However, the fact remains that non-rooted Android devices and non-jailbroken iPhones have a certain level of security that limits the amount of access a user has to vital parts of the phone’s operating system. Jailbreaking or rooting gives you access to hidden system settings that allows you to do much more with your phone. Everything comes with a price and the price you pay for that is greater security risk. I’m not saying you should avoid rooting your phone. All I am saying is that if you choose to do that, make sure you know what you are doing. You’ve probably not heard of the terms bluejacking , bluebugging or bluesnarfing. These are situations where hackers can gain access to your phone using your Bluetooth connection. Using this method, the hacker only needs to be at just about 30 feet away from you and you’ll never ever know what just hit you. Within a matter of seconds, a Bluesnarfer can steal details such as confidential information and even login data to various sites. So, unless you are transferring or receiving a file, for God’s sake switch off your Bluetooth connection. I don’t understood people store ATM card PINs, bank online passwords, sensitive images/videos and other such sensitive data on their phones. If your phone is stolen, it wouldn’t take a geek to know that a four digit number stored as a phone contact is a PIN to one of your accounts. With more analysis , a clever crook can mess up your life. Make sure you check yourself and make sure you’re not doing any of these things to save yourself from security risks.